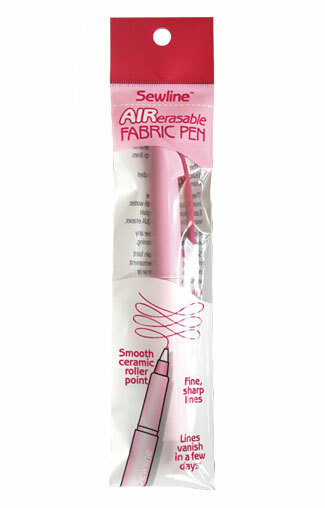 Click the button below to add the Sewline Erasable Air Pen to your wish list. I have used this a few times now, on both pre-washed and unwashed fabric, and it disappears without a trace. It hasn't taken as long as suggested on the pack, sometimes vanishing in a couple of hours. It doesn't bleed and is a breeze to use. I'm very happy with it.